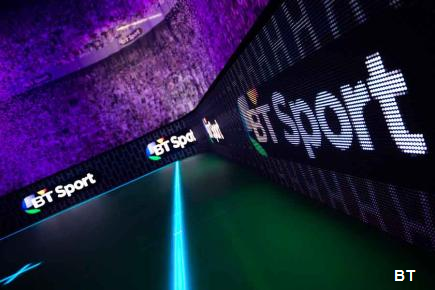 BT Sport has confirmed which football matches from the UEFA Champions League and Europa League that will be shown for free on Freeview channel 59 this week. Manchester City v Borussia Mönchengladbach will be live on Wednesday 30th September. The match will see Raheem Sterling, Kevin De Bruyne and Sergio Agüero as part of the squad to travel to Germany to take on their European counterparts who finished third in the Bundesliga last season. Coverage starts at 7:00pm. On Thursday, BT will show Italian giants Lazio taking on French side St Étienne in Rome. Coverage starts at 6:00pm. “We are continuing to show some terrific games on BT Sport Showcase and will do so throughout the season both in the UEFA Champions League and UEFA Europa League. However, BT has annoyed some football fans by leaving it to the last minute to announce which games will be shown on Freeview. All Champions League and Europa League matches are available via BT Sport on Sky, Virgin Media and BT TV, where there is an HD option available to subscribers. It's not all good news for free-to-air football fans, at least not over in Ireland: Since BT took over the rights to the Champions League, viewers in Ireland receiving the free-to-air satellite service Saorsat, which provides a basic TV service for viewers in rural areas in Ireland who live outside of the Saorview terrestrial TV coverage area have had their coverage blacked out on RTÉ.